Jim is a fellow of the Chartered Institute of Personnel and Development and has many years of experience as an entrepreneur and executive. At 63 years of age, he has walked the talk of the “Forever Young” Mindset for a long time. 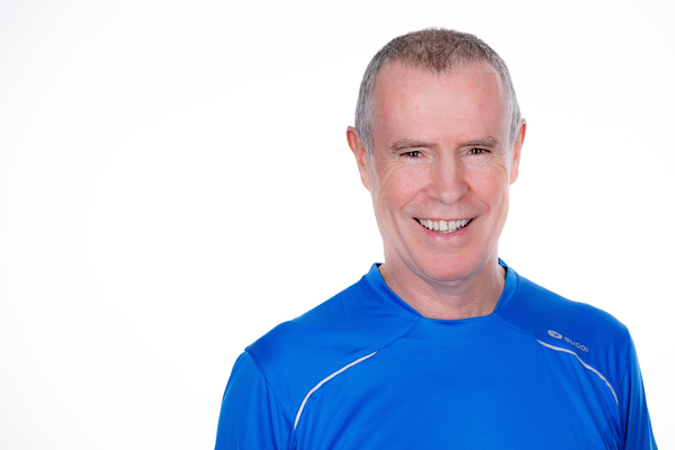 His personal motto is “You don’t have to be fit and healthy to start, but you do have to start to be fit and healthy!” Jim is working with the Retirement Planning Council of Ireland (RPCI) on a day-long course designed to improve health and fitness. “I would say the moving is more important than the exercise. I was an active couch potato. This is somebody who exercises a lot but who spends the rest of their time sitting down and that was me”. Who should attend the day long course? I would see this primarily for people who perhaps have neglected their health and fitness as they’ve been moving through their 40s and maybe into their 50s. They have had other priorities in their life and maybe they put on a few pounds and are not as active as they used to be. Often people when they get into that age group kind of feel -” I can’t do this anymore, I’m too old”. My message is “you’re never too old!”. You can always draw a line in the sand. It doesn’t really matter where you’re starting from, whether it’s the couch or you’re a little bit more advanced than that. We start from where you are, and we work out what you need to do. Do people start too fast with exercise? Yes, they don’t understand the importance of a gradual progressive approach and they think back to when they were in their 20s but they’re not able to do that sort of stuff anymore. I use the four principles: gradual, progressive, challenging but realistic. What can one expect to be able to do in terms of physical activity in one’s 50s and beyond? The obvious is walking. I think it’s important for people to gradually progress so that they’re not just walking slowly, that they can warm up, build up a little bit of intensity into their walk and then cool down. They’re getting heart benefits, they’re getting brain benefits, they’re getting fitness benefits so that’s what I mean by progressive. People as they get older lose muscle mass. It is important that we try and manage that process, that we do some things which will help us to maintain muscle mass. So, activity of a higher intensity is good. I think older people can do all that stuff. The idea of exercise can be off-putting for people? I have moved away from the word exercise because it has connotations of being planned. What about unplanned activity? That’s all the activity you get from the moment you wake up to the time you go to bed at night. That form of activity has been decimated in our lifetime. All the sitting that we do, on the mobile phones etc. The way life has changed and so it’s important for people to understand the need to develop a moving mindset where they’re constantly looking for ways to get up and move. I would say the moving is more important than the exercise. I was an active couch potato. This is somebody who exercises a lot but who spends the rest of their time sitting down and that was me. What will the course day look like? We put in place a plan so that people will walk away from the workshop with a project that they’re going to put into practice over the coming months. Then at the end we come back, and we review what they have done. So, this is about helping people to change. And then at the end we review how they got on and we’ll be able to demonstrate significant improvements whether it’s in their activity, nutrition, perhaps weight. Hopefully by the end of the project, they will have been motivated and inspired to keep going and maintain the behaviour into the future. After lunch, we have a walking challenge outside so we’re getting up and active as well. This is not just sitting down listening to me pontificate. The importance of having fun, enjoying and celebrating the victories along the way. I’d be hopeful that most of the people would come back saying, ok so I’ve achieved the walk, what’s next? I can then talk about back-to-back projects which are gradual and progressive. What is your own personal motivation? My dad died from a massive heart attack when he was 47. That has really had a profound impact on my life and myself. You need to find a cause, a reason. It could be personal, it could be family related, it could be something like walking to raise funds for your favourite charity. Anything that develops the inspiration and the motivation to increase health and fitness. Act today! Book your place on the next “Your New Lifestyle Mission” course which takes place on Wednesday, November 14 in the RPCI training facility at 14 -15 Lower Camden Street, Dublin 2. The day long course costs €120.00 which includes all course materials, tea/coffee and lunch on the day and a follow-up phone call to check on each participant’s progress towards their goal. Please contact the RPCI to book a place – Coursebookings@rpc.ie or 01 4789471.